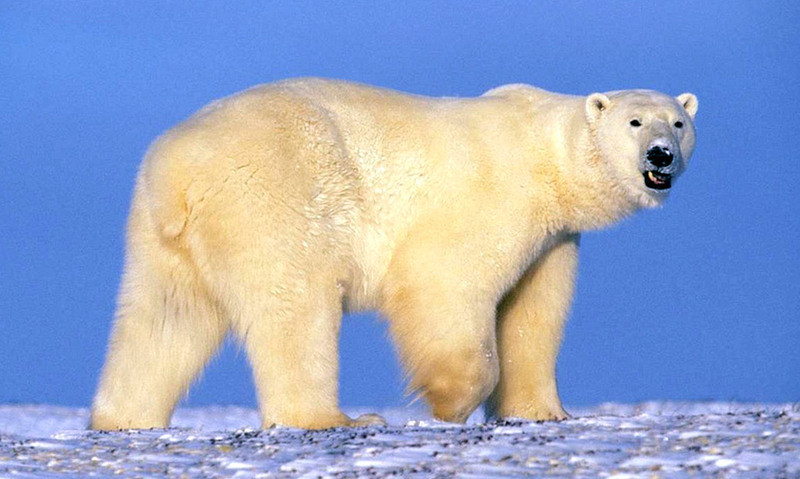 An adult male polar bear can weigh up to 800kg, it is therefore the largest living land predator in the world. Polar bears can swim under water and easily hold their breath for several minutes. They can become up to 30 years or older when living in the wild. The polar bear is an endangered species and experts believe that two third of the population will have vanished by 2050.